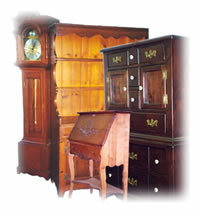 Pak Mail McAllen is the area�s leading shipper of antiques and collectibles. We provide pick-up and onsite packing and crating for residents and businesses in the central Texas area. We offer a choice of transport modes to meet your budget and delivery needs. We offer the lowest shipping rates in McAllen for parcel (UPS, FedEx, DHL, USPS), blanket-wrap, and overland, air, & ocean freight based on our franchise network�s buying power. These services and our professional reputation make us the shipper of choice for local collectors, antique dealers, auction houses, and museums. Pak Mail McAllen is a full service packing and shipping store as well as a custom crating and freight shipping company. We are located in McAllen and proudly serve Pharr, Edinburg, Hidalgo, Mission, and all surrounding cities. Request a Free Online Estimate or call us at 956-631-0640.